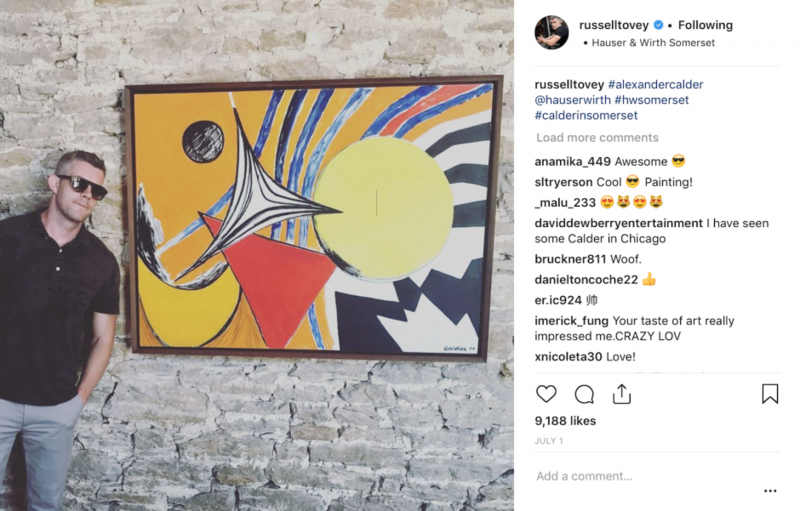 More than making his own significant footprints in the acting world, Russell Tovey has also been making ardent steps within the art world as a collector, who has already collected over 100 pieces of work at a young age of 36. 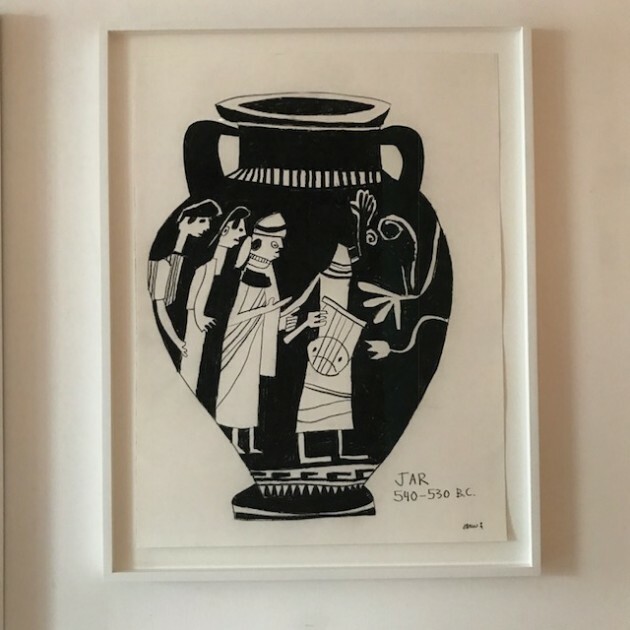 Tovey shared with the Larry’s List his journey as a collector, art lover, and actor, on how he has come to an overwhelming interest in some of his favourite artworks. ‘It’s all an expression of the self, isn’t it? Art connects me to an emotional level which I can then draw on for the characters I play. 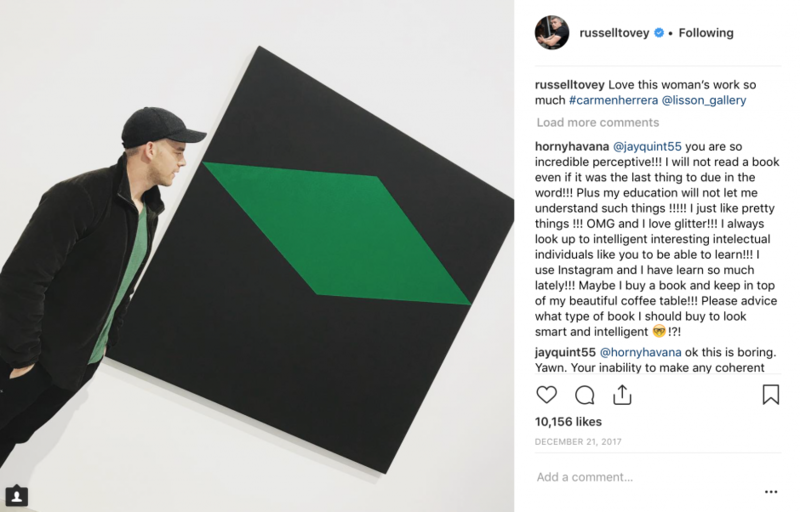 It’s visual and needed to move, by projection to somewhere else, in the end making you learn more about who you are by simply being a part of it.’ As both an artist of the performance field and art collector, Tovey finds a very specific connection with art in many levels. Tovey’s collection is not merely a celebration of beautiful works, but also a genuinely powerful reflection of self through collecting the things he feels and loves so much — it is a belief that artists are essentially linked, and it is part of a journey of history that each of them are creating together. 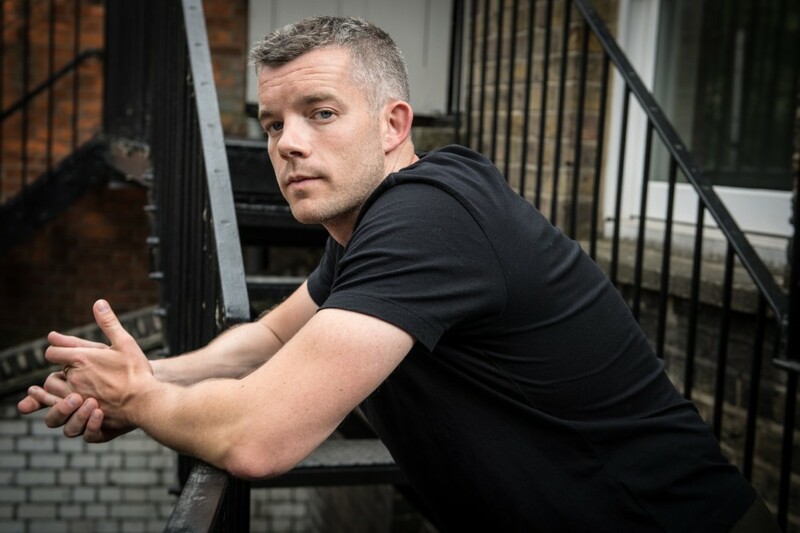 Russell Tovey. Photo: Craig Sugden. 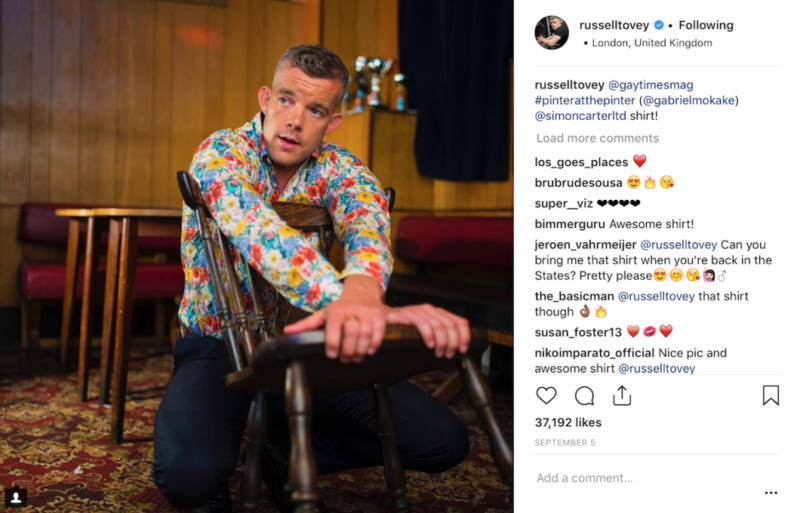 Courtesy of Russell Tovey. That you can potentially play a role in art history. That you can live with things that fascinate you, and the discovery that just by being a collector and supporting, you can make a difference to and can grow alongside the art and artists that you love. You once said Tony Lewis is your ultimate favourite while Wolfgang Tillmans is your ultimate favourite in photography. Is that still the case, or have some others moved up to the top of your list? Wolfgang is still number one in photography for me; not only is he an important and fantastic artist, he’s also a force in life and a beautiful person. I love and live with Tony’s work, and alongside him I’ve discovered so so many other fantastic artists that my top spots shift and alter monthly. Besides painting and photography, you also collect a lot of works on paper. What are special about this latter medium? And what unites or links up all the works you have collected? It’s the immediacy and the real hand of the artist that seems to connect on paper for me. I love the word ‘sketch’ and the phrase ‘works on paper.’ I guess in the beginning it was a budgetary thing, the ability to collect an artist at a lower price tier, but since then, it has become my medium of choice. I celebrate when an artist decides and makes paper an integral medium to their work, connecting to it with the same importance that art history has made on canvas. Torey Thornton, Toyin Ojih Odutola, Tony Lewis, Carmen Herrera, Jonas Wood, Tracey Emin, Rose Wylie — few artists in my collection who truly incorporate and believe in the vital quality of working on paper. Jonas wood, work on paper, 2009. Courtesy of Russell Tovey. The major first purchase was a mono print from the White Cube gallery by Tracey Emin, which I acquired with my full fee from The History Boys movie. The latest work I’ve acquired is a drawing on paper by Loie Hollowell, from her current show at Pace Gallery. Unsure — maybe around 100 original works of art. Where do you display your collection?In my home, as much as I can. I have a storage of course and I try to rotate work as much as possible. Yes. Just starting to. I’m opening up my home to Frieze VIP tours during the art fair in October this year. I would love a small private collection/public space one day soon and would like to start a small foundation supporting emerging artists, where artists can fly in, hang out and stay, work for periods of the year and show their work (or not, depending on their experience and desire) at the end of their tenure. You said two years ago that if you had an unlimited budget, you would collect Joe Bradley and Rebecca Warren’s works. Have you go hold of them already? And what else are on your unlimited-budget wish list lately? Rebecca’s sculptures are and always will be my ultimate touchstone. I’d love to live with more of her works, I have a small hold of her Counter Editions pieces and some collaged wood works, and hopefully one day soon, will have a superb life-size bronze in my home. Joe Bradley also keeps me happy; I have two cool works on paper by him now that I love. The list always grows, but if we are saying budgets weren’t a thing, I’d get a genius Ellsworth Kelly, a huge Lynette Yiadom Boakye, two Ad Reinhardts and a Barnett Newman zip panting. Little corner of Carmen Herrera’s work on paper, 2017, and Leon Polk Smith’s work on canvas, 1948. Courtesy of Russell Tovey. I have a really stunning small battered Leon Polk Smith painting from 1948, that I found at some obscure auction house in the later part of 2017, which I then had cleaned and restored in New York and shipped back here to London, and which I’m totally totally in love with. He’s someone I’ve come to a lot later on in my self-taught art education without having really taken much notice of him before and now realize how truly brilliant he is. 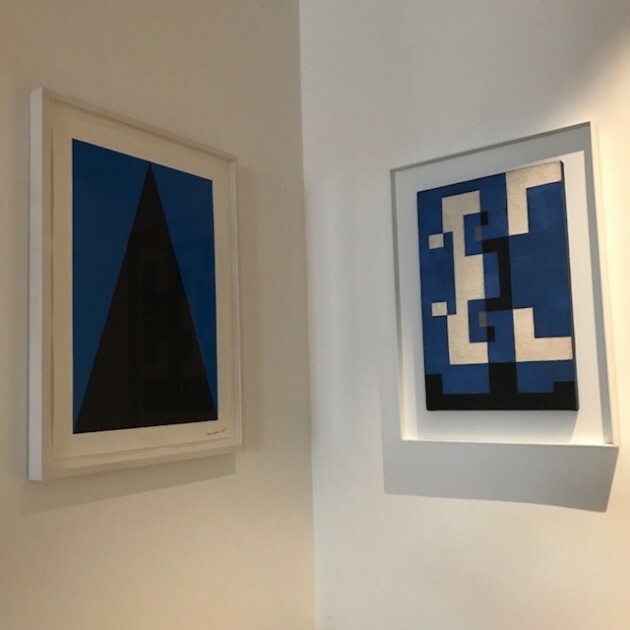 I think that the little geometric painting I own is truly a piece of art history and am very honoured and proud that I get to live with it now. Which artists in your collection are also your friends? Can you share some interesting stories about them? I’ve become friends with a lot of the artists I collect; this wasn’t ever my intention – they say you can’t meet your heroes; and when I was a lot younger I felt that with the artists I loved: I needed to keep them distant until I could learn more and felt confident and educated enough to talk to them about why I liked their work. It’s all still a daily learning process: every week is a new discovery and every new artist is a link and reference to another. I love the idea that all artists are part of a long lineage and that comparisons can and always will be made, but from a learned place that feels earned. Being very active on Instagram, have you ever acquired any artworks via Instgram? The effect of Instagram for me is predominantly support and exposure for the artists I love, which in itself is a reflection of myself and of how I view the world. Through Instagram I’ve met and connected to many fantastic people. It has allowed me a route in; It has also given me an exposure within art circles and shows I’m serious about this; I want to keep learning by self-teaching, and that I’m not just some flash actor who’s made a bit of money and wants to blue-chip his life up! We are curious, does being a famous actor make it easier for you to get the artworks you want? If I’m being totally honest, yes, I guess it does help in some ways. I suppose my interest in a gallery and in particular artists is matched by their interest in what I do. We are all in the creative field but from very different worlds, and I feel there is always a mutual projection happening when we connect. But being recognized as an actor aside, I’ve been very serious about collecting and supporting art and artists for many years now, and word of mouth within the art world seems very strong. 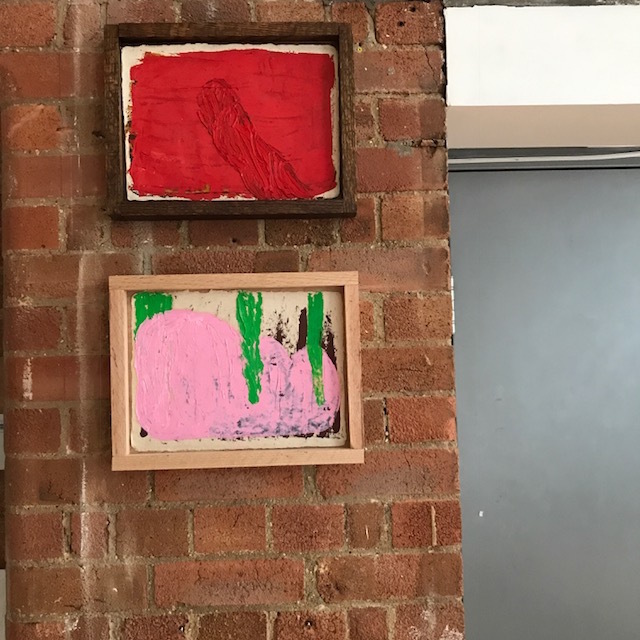 Two works on Burlap paper by Alvaro Barrington, 2017, 2018. Courtesy of Russell Tovey. How do you get informed about the art world? From seeing shows constantly, reading blogs and reviews, talking to friends, artists, gallerists, collectors and strong ‘word-of-mouth’ reviews. Subscribing to multiple gallery newsletters, avidly following programs, supporting public institutions and museums, and the intoxicating power of Instagram. How much time do you spend on art every day? If I could and wasn’t working — 75% of the day is looking at art. The rest is eating and dog walking. You must also have a hectic filming schedule. How do you balance your acting career with your passion for art? The best thing about art and being an actor is that I spend a lot of time working overseas: recently spending long periods of time in the States, which gives me opportunities to see so much more art worldwide. It’s a total passion for me, so it’s not a case of balance, but necessity. That buzz you get from walking into an art gallery or museum, wherever it is, especially if you’re about to view an artist’s work you are desperate to see, is incredibly palpable, unique and real. So whatever I have in my schedule, I seem to just make it work. How does your passion in art and in acting interlinked with each other? It’s all an expression of the self isn’t it? Art connects me to an emotional level which I can then draw on for the characters I play. It’s visual and needed to move, by projection to somewhere else, in the end making you learn more about who you are by simply being a part of it. Would you like to get an art-related acting role? Whom in the art world would you like to act as? Absolutely! I’m patiently waiting for the call to play the role of a young art collector or curator, who has a falling-down moment within the art world. I guess to play someone fictional would be great, but of course, if you were to make something super cool — I’d love to be cast as the young Jeff Koons.